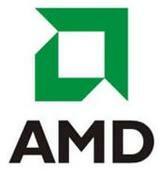 AMD is working on new Phenom II X6 and X4 CPU , more powerful six core and a new quad core one . AMD intends to release two new six-core processors Phenom II X6 1100T Black Edition (3.30GHz), which will be the fastest chip the company has to offer and Phenom II X6 1065T (2.90GHz), which will be the highest-performance six-core offering with 95W thermal design power. In addition, the company will introduce its most powerful quad-core Phenom II X4 975 chip with 3.60GHz clock-speed. The AMD 1090T six core processor was an impressive chip. I look forward to getting the chance to overclock this new AMD 1100T! I just hope they figured out how to keep the next generation stable above 4.0Ghz. the next generation wont have to be at 4.0 to beat any of these chips.